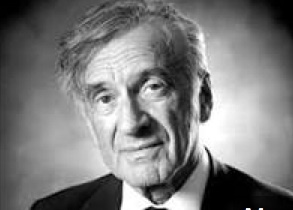 I would like to advise Elie Wiesel that the argument that Hamas is using civilians and children as ‘human shields’ is not only wrong, it actually provides a glimpse into Zionist cultural morbidity and intellectual barbarism. Let’s imagine a volatile situation in which a bank robber failed to escape in time and is surrounded by police. Scared for his life, the robber takes a hostage and hides behind his/her back while sticking a pistol to the hostage’s head. Could you imagine a police officer ordering a sniper to kill the hostage together with the villain? The answer is, of course, NO. But Israel’s logic is very different. If it is true (and I don’t suggest that it is) that Hamas is using the Palestinian civilian population as hostages, then the IDF is clearly murdering the hostages and on a scale that has reached industrial homicidal proportions. Israeli officials occasionally admit that this is their tactic and it is consistent with Israeli military doctrine that adheres to the ‘power of deterrence.’ Israeli decision makers believe that civilian deaths discourage Arabs from entering into a conflict. The emerging number of casualties from recent rounds of violence suggests that Israel’s tactics are homicidal. They target innocent civilians and on purpose. This shows clearly that the Jewish State is an outlaw among nations and it may even be possible that The London Times realises that this is the case. The humanist message is obvious. The time is ripe for cleansing our cultural and public life of Elie Wiesels and other Jerusalemites who promote dubious non-universal ethics in our midst.